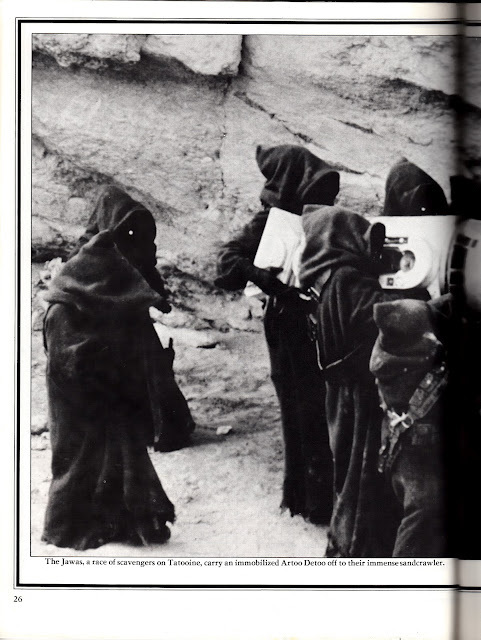 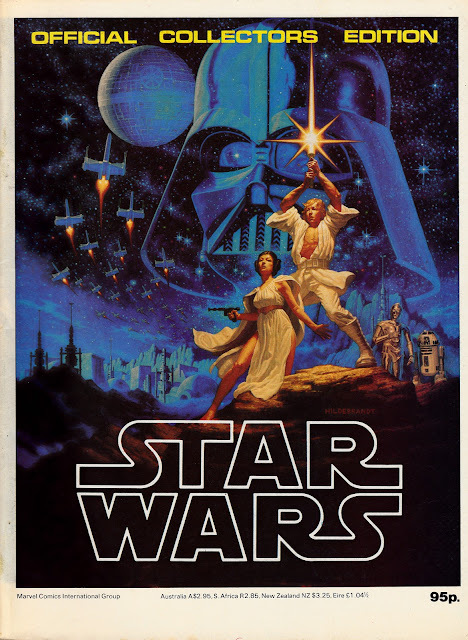 This magazine-format one-shot, published by Marvel, was one of the first official STAR WARS publications to hit the UK, along with the first of two treasury edition reprints of Marvel's movie adaptation. Copies were shipped to UK newsagents and it was heavily plugged in the Marvel UK range at the end of 1977 and the beginning of 1978. 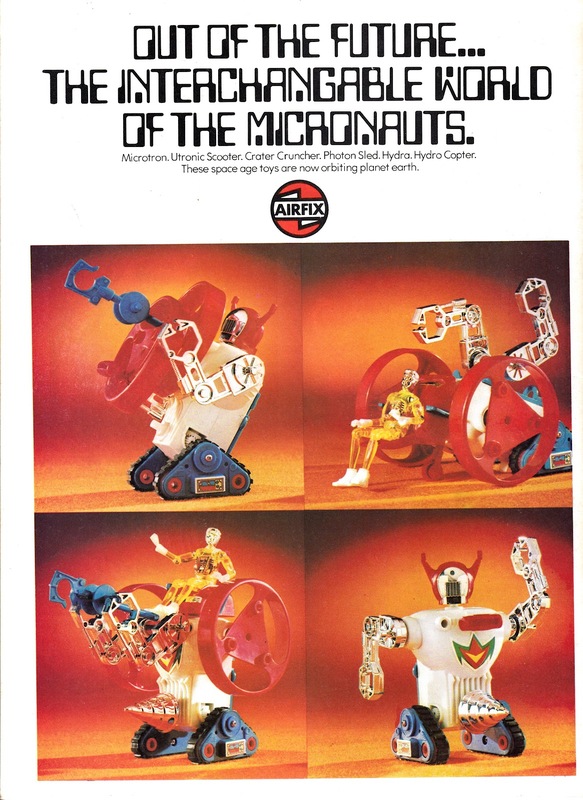 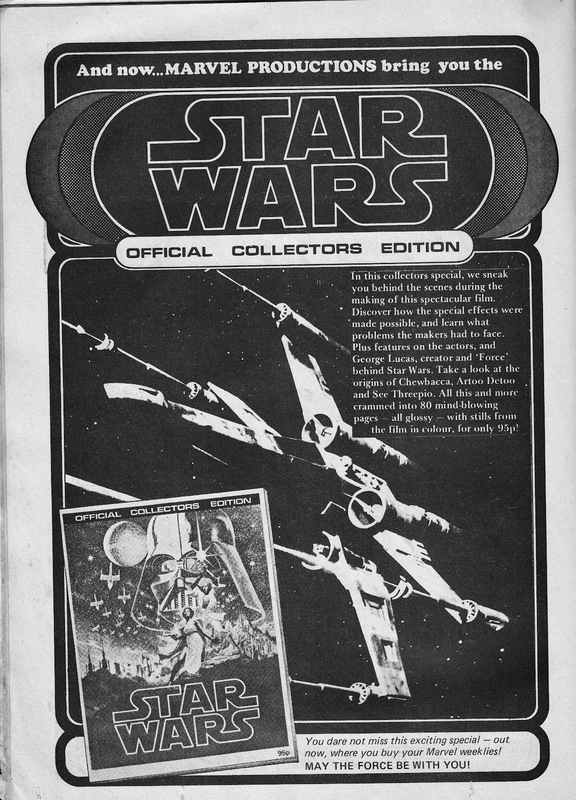 The cover, above, is from the UK edition although, except for the price information and the Micronauts advert (below) on the back cover (the same advert appeared on the back cover of the first issue of STAR WARS WEEKLY in February 1978), the magazine is identical to the the US edition. 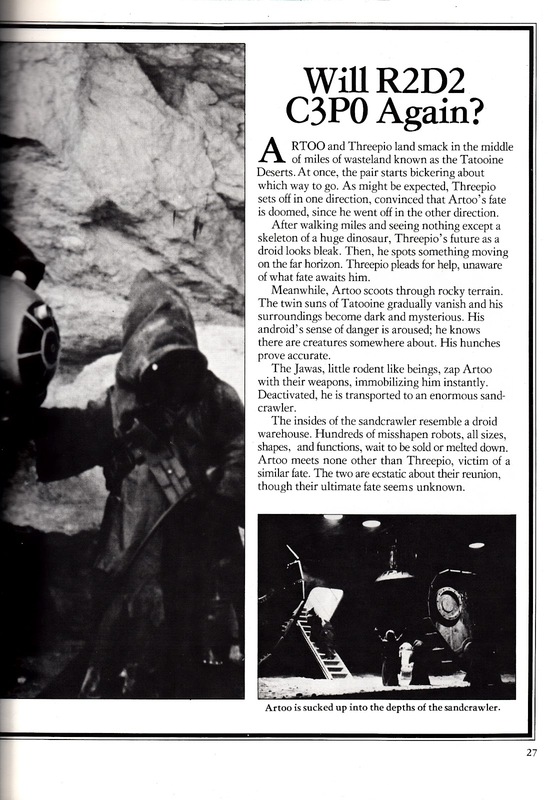 The double-page spread below gives a flavour of how the interior pages looked. Surprisingly, for a Marvel publication, there's no comic strip inside and no cross-promotion for either the US monthly or the UK weekly. Similar (but glossier and more ambitious) tie-ins were also published for the next two films, although neither came from Marvel.